Why do 95% of IT projects fail? 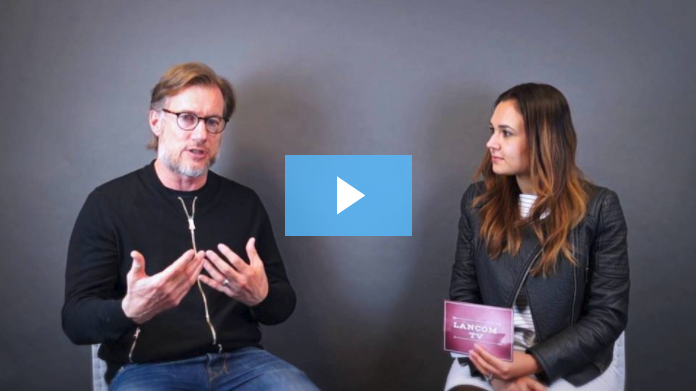 In this week's episode of Lancom TV we sit down with our Managing Director and Founder, Warwick Eade to discuss why 95% of IT projects fail, and the key signs to look for to ensure your project is not included in this statistic. If you want to want to watch our previous episode discussing the working backwards theory, click the link here. Hello, everyone. Welcome back. I'm sitting here with Warwick Eade today. He came and joined us a few weeks back and we talked about the working backwards process of software development. So thanks for coming in today again, Warwick. The topic of the day sort of continuing from that conversation of developing software or working with IT projects. We have an interesting conversation, which we wanna bring up to you, why most of the IT projects fail? Warwick, quite actually put up to me before that he would actually put a number to it. He would suggest that about 95% of projects fail, and I'm here to talk to him today about exactly that. So from his perspective, what are the reasons, Warwick, that those projects don't go well? Yeah. I have very strong opinions on this. I think of all the project that start...I'm talking about obviously five, six, seven projects with software development infrastructure rollout to make it clear. But I think out of a hundred projects, I guess one has genuine outrageous fortune, just circumstances beyond everyone's control has changed and we're there. I suspect three or four have outside influences came in that we possibly could have seen, or maybe the people got it wrong. But 95% of the projects I've seen fail, big and small, across my 25-plus years now, I put down to talent. Yeah, well, unfortunately we have to do it. Some of the tools and frameworks helps us along with it and accelerate it, and it's been fantastic what we've done there. But ultimately, we need to have someone talented to do the job, and unless the talent's there, the job will lag on. And I see projects that should have been, or planned to be finished in 3 months going on 15 months, 2 years later. And you can just see the people on the job don't have the horsepower to do it. Now, I'm a football fan, and in football if you're a talented player, this is soccer, but you have a team that counterattacks very quickly, you need to be ahead of the pace to be on that team, and if you haven't got pace you're gonna ride the bench, and then they're gonna put you from the bench to the strip, and then they're gonna tell you to find another club. That never happens in tech. So tech projects, the original team is on there. It doesn't matter how long it goes on for. Very, very rarely do I see actual talent getting, first of all, questioned in terms of projects going badly, and then of course, I never see it being replaced. There's lots and lots of outside influences, or what I call moral jeopardy, for all people on the project to stop that. So, I think that the important thing is to realize that. So, if you take that on-board, there's the two things I think we can do with that to work with it. First of all, I like this great post with Seth Godin. We'll put it in the show notes about what to do at the beginning of a project where you can fix it at the beginning of the project. And that is when you sign off and you're ready to go and the vendor or the multiple vendors are there and the customer is there and we're all slapping into these bags and feeling greater with the project, that's when we should start talking about what could go wrong. We have the energy for it. Get it sorted out earlier rather than later. Yes, and obviously, lots can go wrong but one of the key things, I think obviously, 19 times out of 20 is the talent. You need to have a conversation, what if these people can't do it? What will happen, and what are the milestones if they can't do it? I'm a strong believer that they should be exited on the project even if we are a fifth of the way through or a quarter of the way through, we're gonna take that loss and get on a project that will succeed rather than having them walking, you know, being shackled to a corpse for over three years for a project that should've taken three months. Just like your football analogy, right? So if you get to 40 minutes and you still feel like you need to make some changes, they are not objectives to making changes. So why shouldn't that happen in IT? Go to the bench. Well, there's lots of obviously financial pressures to do it. But the overall picture is that everyone is gonna loose if we don't sort that out. So, really take the post-mortem to say, "Hey, before you get to that point, we think you can do the job, what happens if you don't do the job?" So the second thing I would urge you to do, most of these symptoms of a project that is under-talented, put it that way, is what I call "meeting IT" where a project that should've taken three months is now at nine months. And generally, a project manager will call a weekly meeting and you'll knock up...yeah, the Excel spreadsheet and it's got one page. Well, now it's got two, now it's got three spreadsheets, and we have a ritual read through, and the first two or three tech guys in the project turn up, then they get busy and they can't make it, and then it's just you and the "project manager." I have strong opinions on project managers in small to medium-sized corporations. And you just keep rehashing the old stuff. Now, possibly a place for that technique and that process for three weeks...if you're still at it for three months, you're meeting IT and you don't have the talent. You're wasting your time, and you're wasting everybody's time. So I'd watch out for that. Here's how you stop that, because often Project Managers will force you to do that, try and drive that, insist that the talent turns up to the meetings. Insist that they turn up to every meeting, and insist they turn up prepared. And if they don't, stop it, get the right people to do the job. Great thing is you're gonna put it to this because that's all my opinions today, but leave you with this thought. So WhatsApp was bought by Facebook for $18 billion. They had hundreds of millions of unique people a day on the site. They had 30 engineers. Facebook had similar sort of numbers when they had hundreds of millions of people onboard. If you have the right talent, the project will come out very quickly and can be fixed. The right talent, and if you read the software research, software development research, the talented teams that win software competitions are 20 times more productive. They knock it out 20 times faster than the average, and they often...the code is better. Because they know what they're doing. Yeah, know what they're doing. So, look for the talent. It's a tough situation because it's really hard to assess talent if you aren't in the game yourself. Obviously, recruiters, I think, are a big problem with this. They start the method you can hire talent without understanding how good they are. You use like a backwards approach of like, "Well, I put them on this kind of job before and it works now, so that should be okay." It's very hard to assess talent, and actually it's a very tough conversation to say to someone, "This is where we are now..."
It's not comfortable, is it? And how it is with sports and say, "You can't be on the team anymore." Now, I've been a tech owner and manager for 20-plus years and I've had plenty of those conversations. It's really, really hard to say to someone who thinks they can do, to say, "You can't, and here's why you can't." But it's no use putting someone in a senior engineer's role at our company who can't do it. There's just no point. So, key takeaways: go back to basics, asses the talent, is that the right talent for me, avoid meeting IT and if you're getting into that routine, it's time to put a stop. Well, high level for the people out there, I'm talking of non-typical people or customers, you want to be able to assess the talent, and hopefully going forward. So the safeguards and assurances you can put in place is before you start, have a post-mortem. There's a great post from Seth Gordon, it's gonna be in the show notes, about post-mortem and at what point we will say, "This project is not going and we need to sort the talent out." All we need is to change the company. Have that real conversation upfront. And then the second point I'd say if you can do one thing, you know you don't have the talent when you have meeting IT. You know you have a talent problem when you have meeting IT. That's when the red flag comes up. And then, you should give us a call. Hey, thank you so much for coming in today. Oh, no, I love this, yeah. Thanks to you guys for watching us. If you do want Warwick to come back and talk to you about anything to do with technology, please leave us a comment. We would love to come back and have a chat about what you actually want to hear. I'm sure there's a million topics out there and Warwick is a perfect person to have that conversation. So, we'll see you again next time and thanks once again, Warwick. Yeah, thanks as well. It was fun.